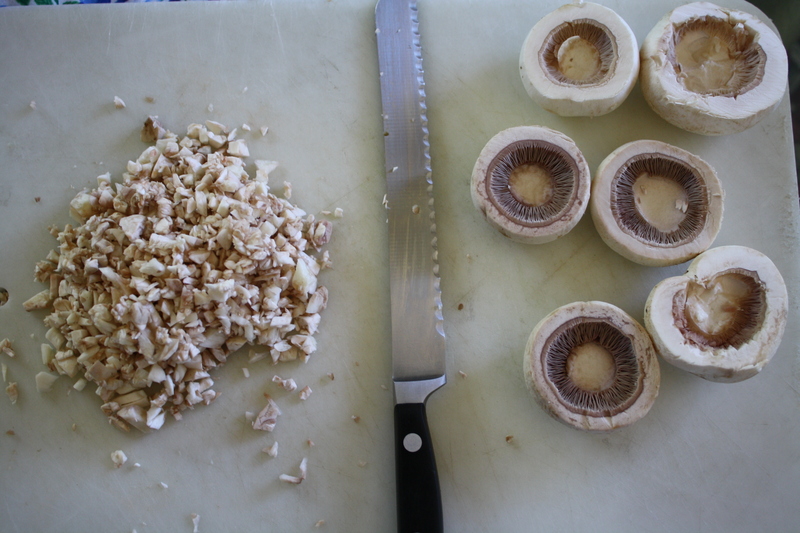 Remove stems from mushrooms and slice around gills to make a “cup” for your filling. Set caps aside. 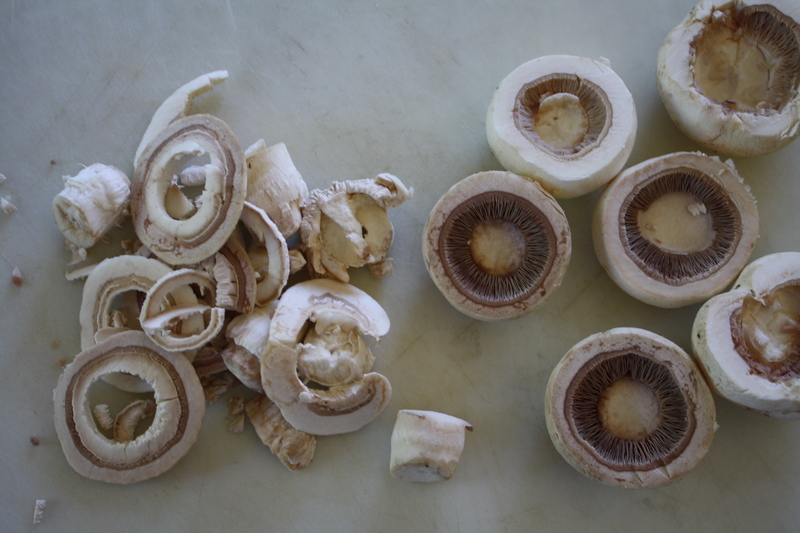 Chop stems and any other mushroom pieces you cut off. Heat 1/2 tablespoon olive oil in a pan with 1 pat of butter. Add garlic and mushrooms, and let cook for a moment. Add chopped parsley and a splash of white wine (I used JUSTIN 2009 Viogner. Feel free to add a splash to your glass, too!) and stir until wine is evaporated. 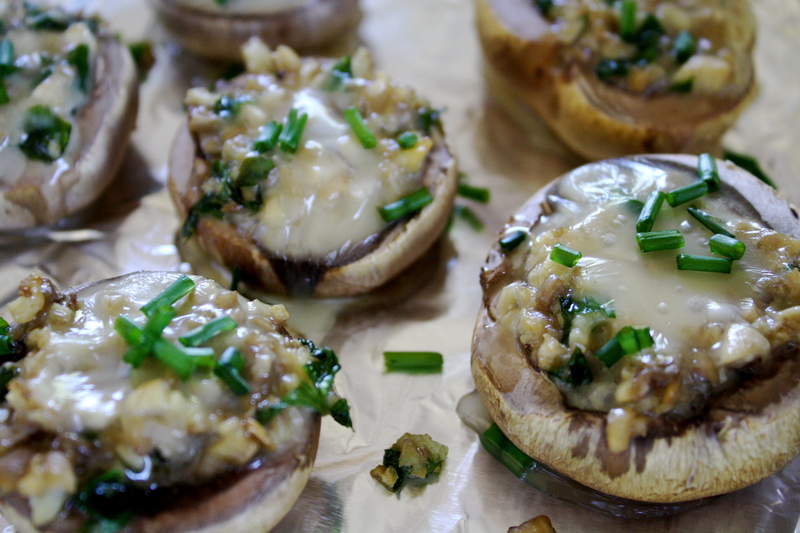 Fill mushroom caps with stem, garlic, and parsley mixture and bake in the oven for about 10 minutes. 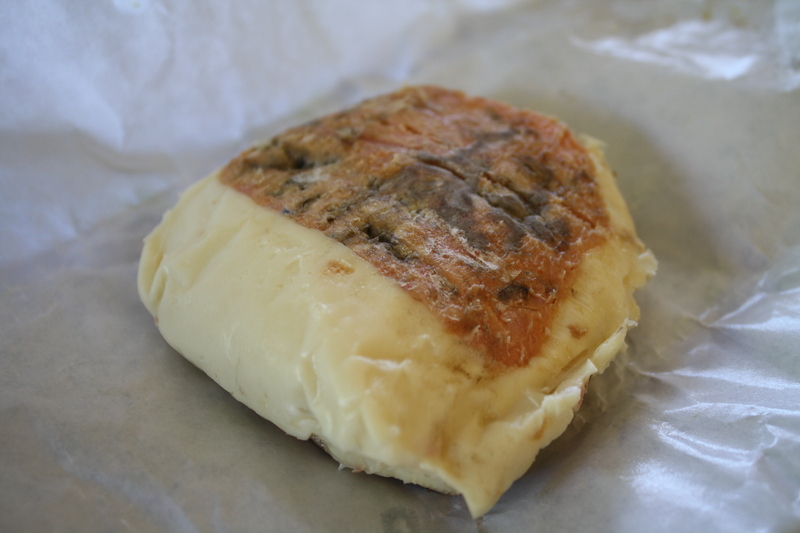 Remove from oven, add cubes of Taleggio, and return to oven for 5 minutes. Sprinkle with chives and let cool for 5 minutes, then serve! These will go fast! This entry was posted in appetizers, cheese, sides, Sweet Life Laur Original, vegetables, vegetarian, wine and tagged cheese, mushrooms, stuffed mushrooms, taleggio by Laura Zolnoski. Bookmark the permalink.